Eater (or Greencap). By dawnrazor. The Eaters are the Yule Demon’s little helpers, and they are the ones most often encountered when Sandy Claws comes to town. They are the ones kidnapping and molesting people in their homes, or leaving their disgusting ”gifts” at people’s doorsteps. Eaters attack with knife and fork and sometimes with spoons! As they are in constant telepathic contact with the Demon at all times, they will obey its commands instantly. Special Qualities: Immune to cold. Magic resistance 20%. Piranha attack*. Vulnerable to fire (takes double damage). Full move in the deepest of snow. Vulnerable to cinnamon, ginger and light (-2 to attacks). Cannot pass doorways with mistletoe. This option is for…darker games! Basically, the more hp you lose in a combat round against the Eaters, the larger die you roll on the table below. If you use the advanced piranha attack, skip the basic one above. This damage can only be healed by powerful magic or a skilled surgeon (if such individuals exist in your campaign world). Example: Slobbo the Halfling is attacked by 5 Eaters. He is hit several times, and takes 6 hp damage in total this round. The GM rolls 1d6+6 and reads the result on the chart. The GM rolls a 3 so the total is 9. Slobbo’s lips are gone, and he can’t communicate properly. The consequences of the damage described in the table is decided by the GM. Maybe you role-play the situations, or maybe there are penalties to abilities. In that case Slobbo could lose 1d2 CHA or something along that line. Yule Wolf. DIY by dawnrazor. Similarly to the Yule Demon, the Yule Wolves come from the Lands of Dream, pulling the evil spirit’s bone chariot across the skies. They are larger and more muscular than normal wolves, and some sages say that they are a hybrid of wolf and hyaena. Their pelts are dark grey and the eyes emit a fiery yellow glow. As they are in constant telepathic contact with Sandy Claws at all times, they will obey its commands instantly. If they hit, they get a free trip attack* (p. 56, B&T Complete). Special Qualities: Immune to cold. Magic resistance 10%. Trip attack. Vulnerable to fire (takes double damage). Full move in the deepest of snow. *Special Qualities Conversion notes: The trip attack is an ordinary attack. If it hits, the defender rolls a save (LL: Breath Attack) to fully avoid the trip attempt. If the save is unsuccessful, the defender is tripped and is knocked prone on the ground. The next round all attacks are at +2 against him. And tomorrow, the last X-mas themed monster will arrive: Santa’s little helpers: The Eaters! Merry Christmas gamers! My present to you today is the first of three Christmas themed monsters! Special Qualities: Immune to electricity and poison. Magic resistance 30%. Rend attack (claws and tail). Vulnerable to fire (takes double damage). The Yule Demon comes from the Lands of Dream, feeding on broken dreams and hopeless wishes. In it’s twisted mind all flesh beings are naughty and evil and in need of punishment. Sometimes, however, it leaves gifts in the form of body parts from the punished, or it will even let someone return to the village as a Son of Yule – an undead parody of its former self. It is in constant telepathic contact with all its servants at all times, and can summon 2d10 Eaters and 1d8 Yule Wolfs at any given time. It has no eyes, but can “see everything” using some other sense. Tomorrow, we will follow up with Santas little helpers – the Eaters (or Greencaps). Note: There will be a short adventure based on these monsters in the future! Get ready! 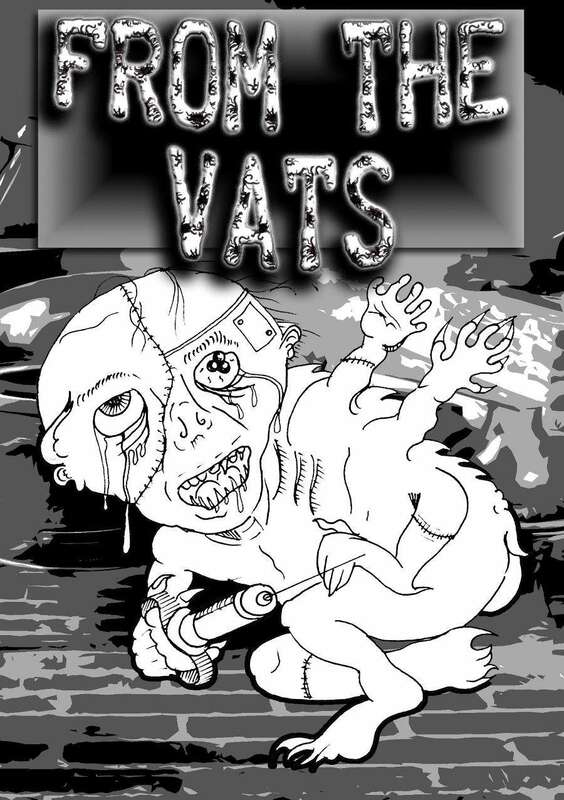 From the Vats is out! 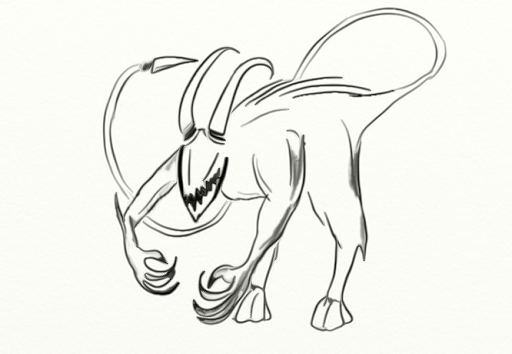 A while back I contributed to a competition about the bio-horror monsters that those Vivimancers play around with. As it was, I sent in a mini-adventure also. Here they are, fresh from the presses, together with a ton of other cool bio-horror content. Check out the free PDF here!